Countertops made of American Black Walnut show off the wood’s rich and stunning coloration – a mix of creams, yellows and medium to dark browns. Walnut works equally well in light or dark kitchens, as either a contrasting or a complementary design element. 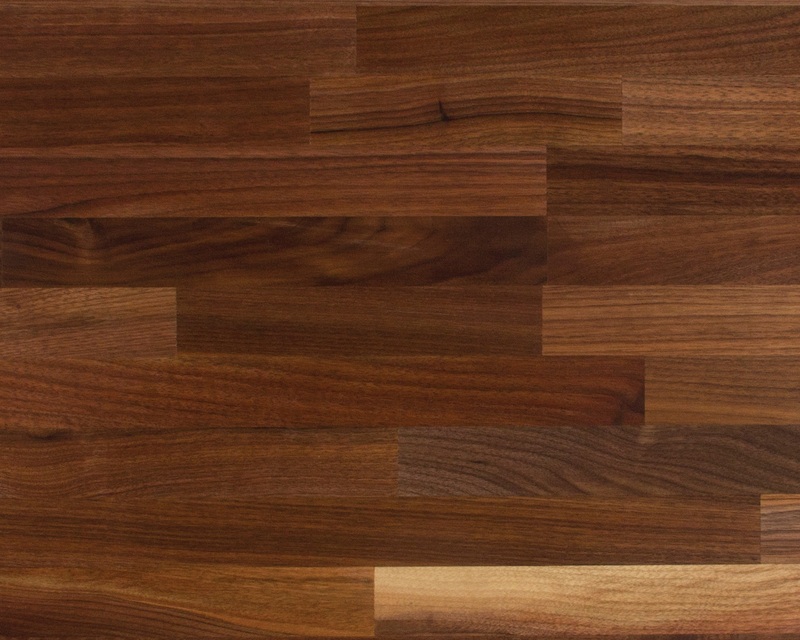 Despite it commanding a moderate price premium, walnut is second only to maple in popularity as a hardwood of choice for kitchen counters. Each grain style has its own distinctive look. For example, the wood rails used in edge-grain butcher blocks run the full length of the counter, whereas blended countertops use wood pieces of varying length on inside rails. 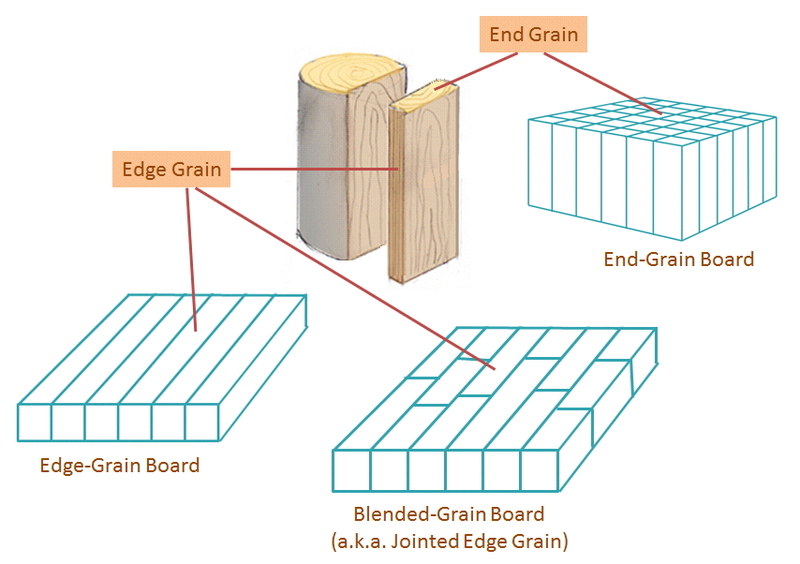 In stark contrast, end-grain blocks are comprised of many short pieces of wood cut to an identical length and arranged standing on end, so that the top of the block shows cut ends and hence, millions of wood fibers. 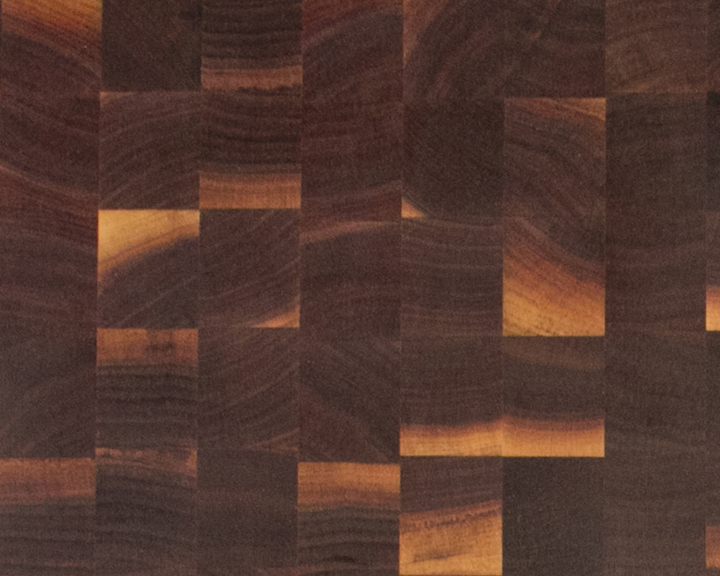 Orienting the wood pieces this way gives an end-grain block a striking checkerboard-like appearance, as well as an especially durable surface, as wood fibers can typically take strikes from knives and hatchets without suffering unsightly nicks and gouges. The narrowest Boos standard-size countertops are 25 inches wide; they top out at 48 inches in width. Lengths range all the way up to 145”. 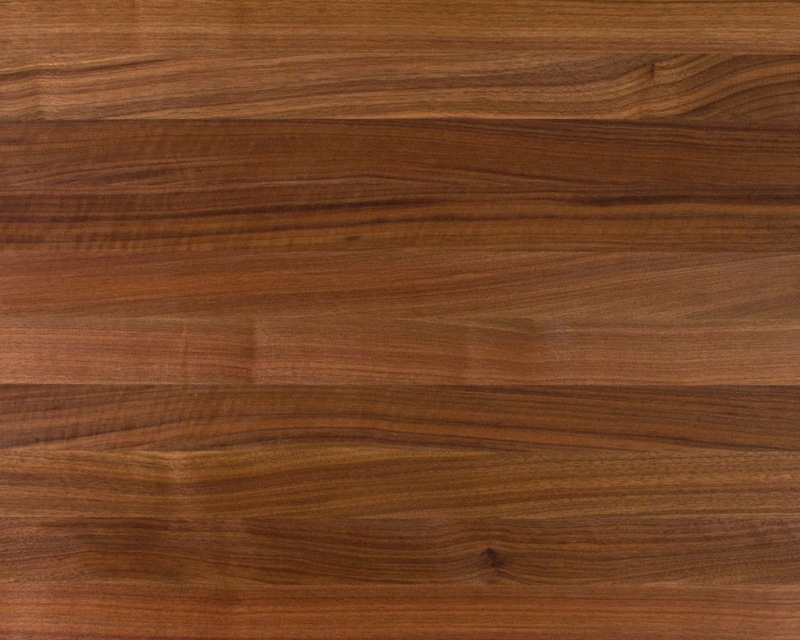 Thickness options for walnut counters range from 1-1/2 inches to 7 inches. If you can't find a standard size to suit your project, you can always obtain an instant price quote on a walnut island top or counter top, even with a classic edging style to add some real pizzazz. John Boos Mystery Oil moisturizes wood, making it safe to cut upon. Note that if you select a natural oil finish, you will need to reapply butcher block oil from time to time in order to keep the wood healthy and protected. Your other option when selecting a standard size Boos countertop is Varnique. That’s Boos’ proprietary varnish-like material that provides a fine-furniture look and is easy to clean and maintain. However, you should not directly cut upon wood protected with Varnique, as you might cut into the coating, unsafely exposing the wood beneath.